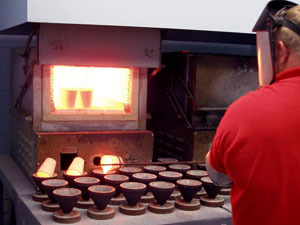 Many tests have been developed to determine the quality of precious metals with definitive results. An old-fashioned scale pan using for testing precious metals. Metals testing, or assaying , can tell you the precious metal used, the fineness of the alloy, and if a piece of jewelry is solid or plated. Testing can validate the stamped marks on an item of jewelry, and it is a key component of professional jewelry appraisal and estate jewelry pricing. 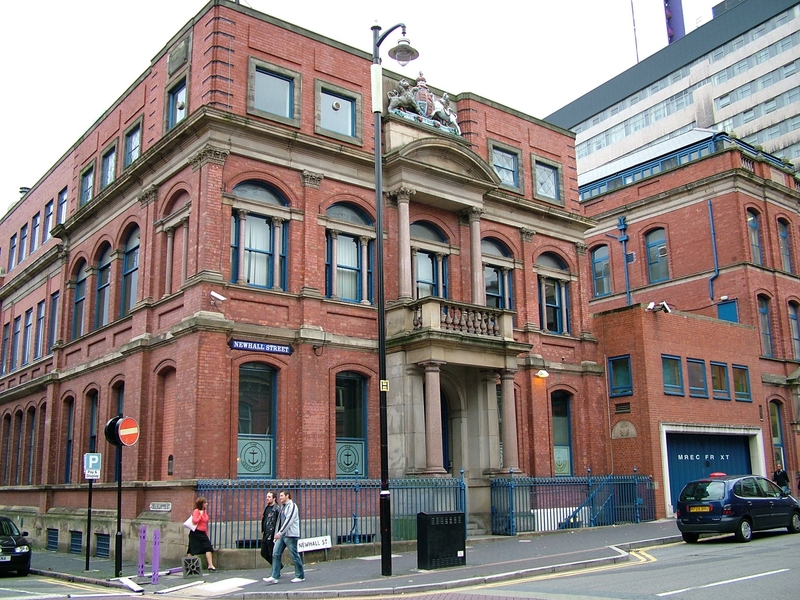 The Birmingham Assay Office is one of four official assay offices in Britain. A low-quality, 50 percent alloy of silver and copper looks “silver” to the average consumer. This can easily lead to fraud without appropriate protection in the form of standards and testing protocols. Consumers must be confident that they are not paying 18K gold prices for 14K gold. In order to protect buyers of precious metal jewelry, a system of testing, or assaying, the quality of objects has been developed. 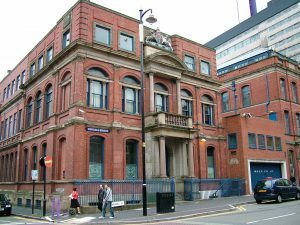 The assaying technologies used today are a blend of the antique and modern. The touchstone test has been used for about 2,500 years. 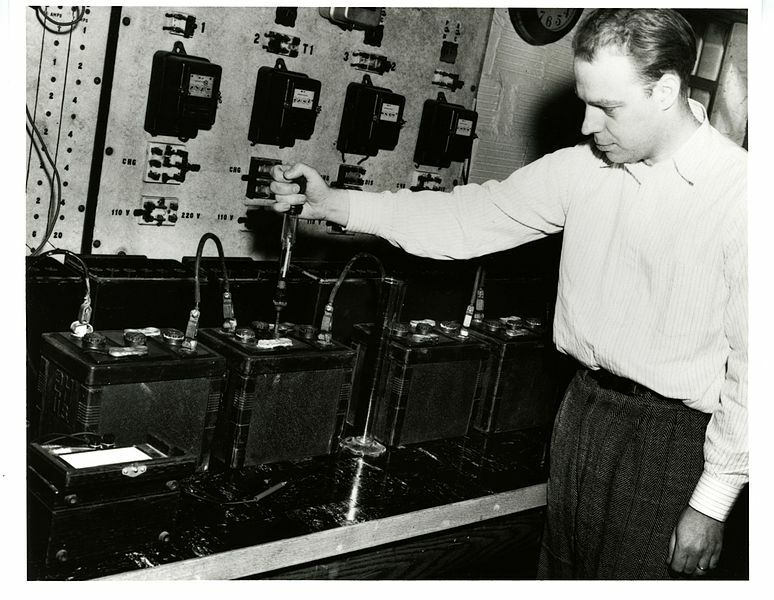 On the other hand, X-ray technologies are a relatively new addition to our testing arsenal. Some assays are specific to a single precious metal and others can be applied to more than one with meaningful results. Tests for precious metals are described as either destructive or non-destructive. Destructive tests should be conducted with caution because they destroy at least a small part of the original object. The touchstone is a fine-grained dark stone used to test the fineness and purity of gold and silver. In common usage, a “touchstone test” has come to mean a test of the quality or authenticity. Goldsmiths, like those who are members of the Goldsmiths Hall, have been using the touchstone test for centuries. Several tests are described below, ranging from simple tests to more complex tests requiring special acids or equipment. The simple tests may not give you sufficient proof of the nature of your metal, but they do eliminate some possibilities and generate new areas of inquiry. If you need to be sure, ask the advice of a professional jewelry appraiser, reliable jeweler, or reputable lab. 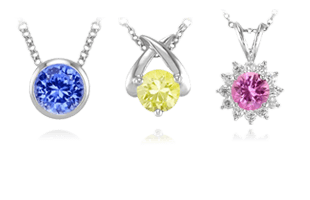 Several of these tests may be helpful when you purchase jewelry, but the ultimate test at that time may be the price. If you think you are getting an UNBELIEVABLE deal, it probably is. Unscrupulous dealers are sometimes guilty of underkarating . 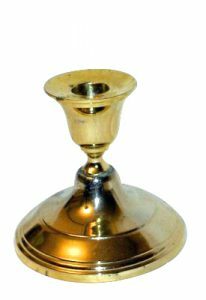 Plated gold can be sold as karat gold. Rhodium plating can disguise jewelry that is constructed of both platinum and white gold. Know your jeweler, learn to ask appropriate questions, and avoid hasty decisions. An old assay office in the silver mining ghost town of Tombstone, Arizona. Key examples of the types of precious metal testing used to determine authenticity and quality are explained below. Platinum that has developed a bit of patina, and platinum that is brand new. 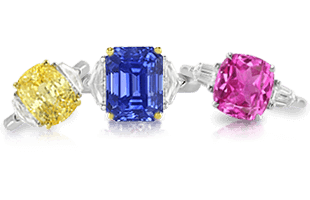 Study the color of your jewelry; you can learn many things, which will direct you to other tests that provide proof of the nature of the metals. 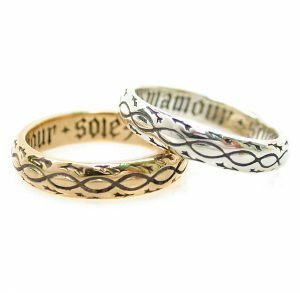 High-polish yellow and white gold posey rings. First, observe whether the color is evenly distributed or if it is patchy. 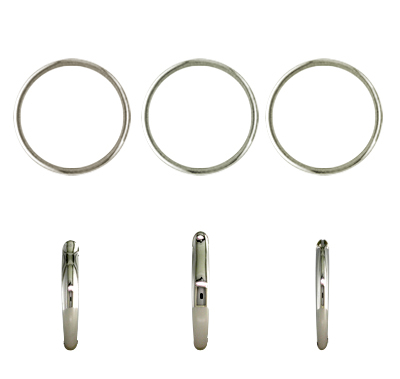 Look especially around hinges or clasps for signs of discoloration or wear. 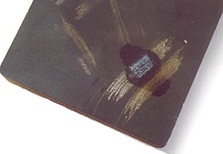 Plated gold pieces may have areas where the gold has rubbed off and the base metal shows through. Yellow gold shouldn’t have a coppery or brassy color. White gold and platinum can often be distinguished, because white gold may have a very slight yellowish tint unless it has been plated with rhodium. Silver may tarnish, but platinum never does. 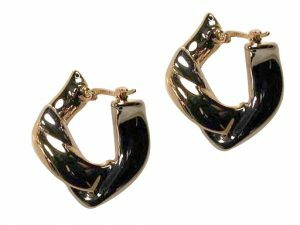 Electroformed earrings are typically lightweight and comfortable to wear. This is another easy test. Carefully toss or bounce the object in the palm of your hand. If it feels very lightweight, and it is a solid–not hollow–piece, then it is unlikely to be made of precious metal. One of the characteristics of precious metals is that they feel very solid and weighty. This is especially true of platinum and gold. 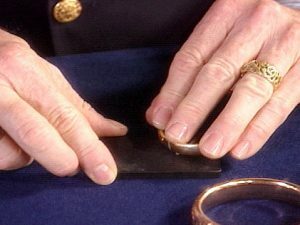 If your jewelry is hollow, it may be difficult to use this test. Electroformed pieces are hollow because of the way they are manufactured. A chemist determining specific gravity in a lab. The Heft test is related to the specific gravity of the metal. The specific gravity of a material is the ratio of its weight to the weight of an equal volume of water. The specific gravity of pure platinum is 21.40, which means it is 21.4 times heavier than water. Pure gold has a specific gravity of 19.36, and silver 10.53. The specific gravity of copper, nickel, brass, iron, and stainless steel are all below 9. This illustrates why base metals will feel lighter than precious metals. This is also why pure gold, for example, will feel heavier than gold alloys, which are mixtures of gold and base metals. This is also why a platinum piece will feel twice as heavy as the same piece in silver. Base metals are magnetic; precious metal alloys generally are not. This is an easy test. Simply hold a magnet to your jewelry and check for attraction. Make sure your magnet is strong enough to provide reliable results. Good magnets can be purchased at most toy or hardware stores. Your refrigerator magnets are not likely to be strong enough to produce reliable results. 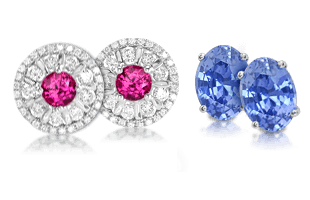 Left to right: platinum-iridium, platinum-ruthenium, and platinum-cobalt. Platinum-cobalt alloys can be slightly magnetic. Gold and most platinum alloys are not magnetic, but plated goods with a base metal foundation of iron or stainless steel will be. Remember that cobalt-platinum alloys are slightly magnetic. The Magnetism Test can provide a quick means to separate gold plated jewelry from jewelry made of karat gold. It can also separate platinum alloys lacking cobalt from ones with cobalt, which can be slightly magnetic. Electronic testers are a fast and easy means for detecting the fineness of your gold jewelry. 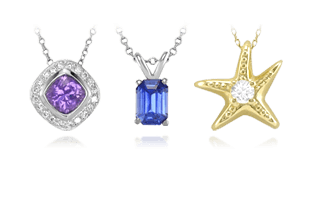 They are variably priced and available at jewelry supply stores. While testers can be accurate within two karats, they cannot tell you if your piece is gold plated because they only perform a surface contact test. You can get a deeper reading by nicking your jewelry in an inconspicuous spot and taking a reading, but this is not recommended for obvious reasons. 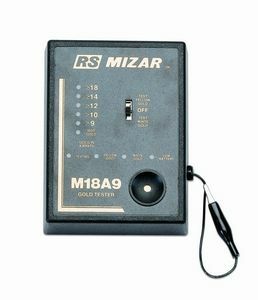 Electronic testers are easy to use, portable, and give quick results, but some may leave a small mark on items with low karatage. Touchstone assay materials and equipment. This ancient test is used primarily for determining the fineness of gold alloys. The touchstone test requires the use of a black basalt slab called a touchstone, nitric and hydrochloric acids, and a set of test or comparison needles with a range of precious metal finenesses. The unknown, or the metal to be tested, is rubbed on the stone leaving a streak. Never rub prongs or visible parts of a piece of jewelry on the touchstone. Always choose an area of the piece that does not show. 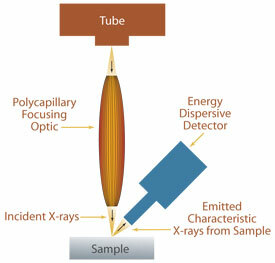 Additional streaks are then made using the test or comparison needles; one with an estimated fineness equivalent to the unknown metal and at least two others estimated to be of lower and higher fineness than the unknown. Rubbing gold on a touchstone for testing. The color of the streaks is compared briefly and then acids are applied to see the reaction. 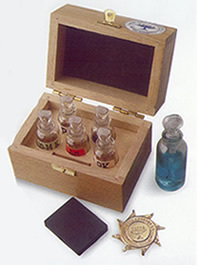 Higher karat gold will require the use of aqua regia. Nitric acid may be used alone for 14K and lower karat gold alloys. Compare the reactions of the unknown metal with that of the test needles. Watch for color changes and watch to see how quickly the streaks disappear. When two streaks react the same way, they have the same fineness. The touchstone test is not suitable for plated objects such as this candlestick holder. The touchstone test is not suitable for gold filled or gold plated items. It can detect fineness of ten to twenty parts per thousand, but it does not work as well with higher karat alloys and white golds. Silver can be assayed with a touchstone, but some expertise is required because the metal used to alloy the silver can affect the results. Although the touchstone method can work with platinum, it is a challenging procedure best left to professional assayers. There is no sure touchstone test for other platinum group metals. Gold testing liquid for determining 18K gold standard. Make sure your acids are not stale or contaminated. Make sure your test or comparison needles are not corroded. They should not be stored with the acids. Do not use the same side of the touchstone for testing high and low karat gold. Make sure your streaks have the same width and intensity. Make sure to test all parts of a piece of jewelry. Sometimes the item can be made of component parts with different finenesses. Remember that is important to take precautions when using, storing and disposing acids. 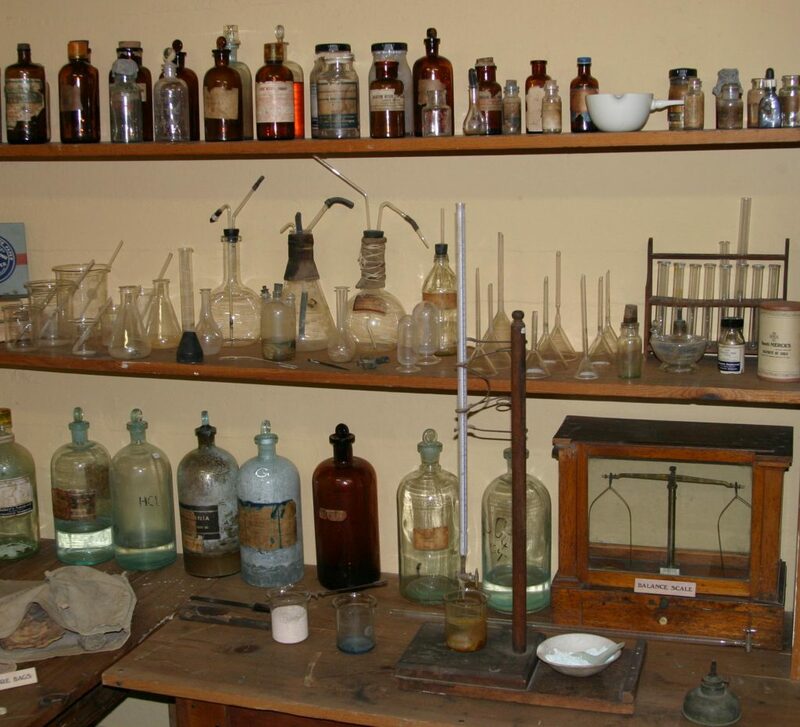 More information is provided in the section below on Acid Testing, but amateurs should be trained in the proper techniques before attempting these tests. 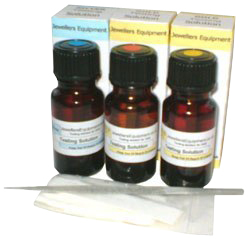 Acid testing supplies for jewelry. When you want to get to the truth of a matter, as the expression goes, you “apply the acid test.” This age old expression refers to ancient techniques we still employ for determining the quality of precious metals. Acid testing is an extension of the touchstone test. It can be destructive to your jewelry so it must be practiced with care. There are also very real human hazards, so you must thoroughly research the topic if you decide you’d like to try it. At a minimum, you should always avoid breathing the fumes and wear gloves and protective eyeglasses when working with acids. Acids also require specific mixing, storage, and disposal protocols beyond the scope of this webpage. The layman can apply acid tests, but only when they are properly trained. In most cases, it would be best to have a professional do these tests for you. One of the characteristics of precious metals is their resistance to chemicals. Standard acid tests for gold and platinum are based on the fact that they will not react with pure nitric acid but they will react to aqua regia, which is a mixture of nitric acid and hydrochloric acid. Always use caution when dealing with acids. If the spot bubbles or hisses your piece is definitely not gold or platinum. Lower karat gold may slightly effervesce, but it will not bubble and hiss. Brown and green color change is due to the base metals in the gold alloy. Silver is easily distinguished from quality white gold. If you have trouble noting the color change, you can blot the spot with a white napkin or paper towel and look for the color change on the white background. 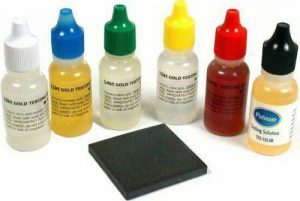 Liquids used for testing jewelry with the acid test. If you are testing a piece that is 10K or less, the acid can leave a permanent brown stain. If you have reason to believe that your piece is gold plated, it would be necessary to nick or file the surface of your jewelry in an inconspicuous area to spot test below the surface. The reactions will be the same as those listed above; note any bubbling, hissing, and color change. The reactions may vary a bit depending on the silver alloy. As with gold plated objects, if you believe that your jewelry may be silver filled or silver plated, make a small nick or file the surface to expose the metal under-layer and repeat the test. After testing with acids, make sure you neutralize the reaction by dipping the jewelry in a solution of water and baking soda. Then carefully rinse the piece with fresh water. Make sure you do not get any acid on gemstones and store and dispose of all materials properly. 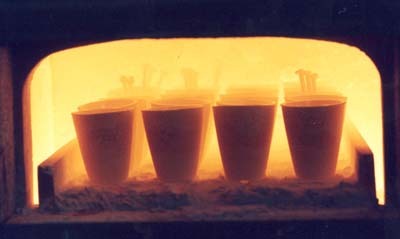 Fire assay, or cupellation, is an extremely accurate means of determining the fineness of gold. Although it is a destructive and time-consuming test, assayers have used it for centuries. A tiny sliver of metal, typically about 250 milligrams, is removed from the jewelry to be tested and carefully weighed. It is then wrapped in lead foil along with a piece of silver. The entire package is placed in a cupel and heated in a furnace. The lead melts, oxidizes, and dissolves out the base metal, which is absorbed into the cupel itself. What remains is a bead or button of gold and silver. The bead is then treated with nitric acid to separate the silver from the gold—a process called parting . The gold portion is weighed and when its weight is compared with the weight of the original sliver, the fineness of the jewelry can be determined. The fire assay method has an accuracy of two to three parts per ten thousand! Platinum is very heat resistant. It glows red-hot but does not melt when heated with a jewelers’ torch. 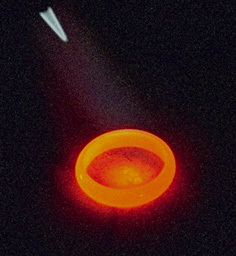 This is a destructive test that will confirm if a sample is made of platinum. A tiny sliver of metal is removed from the jewelry from an inconspicuous area. The silver is subjected to intense heat from a hot flame. If the metal melts and forms a ball, it is not platinum. Platinum has an extremely high melting point, so with this kind of flame, platinum will retain its shape but begin to glow red-hot. A diagram explaining how X-ray fluorescence works. 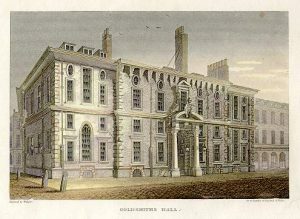 New X-ray technologies (including x-ray fluorescence) are being used to identify the fineness of precious metal objects. They are also capable of identifying the metals used to make the gold, platinum and silver alloys. The process is fast and non-destructive, but slightly less accurate than the fire assay. However, much of the equipment is expensive and available only in specially equipped laboratories. New developments in the market include similar instruments, such as the X-tester, which are more reasonably priced. A major retailer in India has been using this device to enhance consumer confidence. 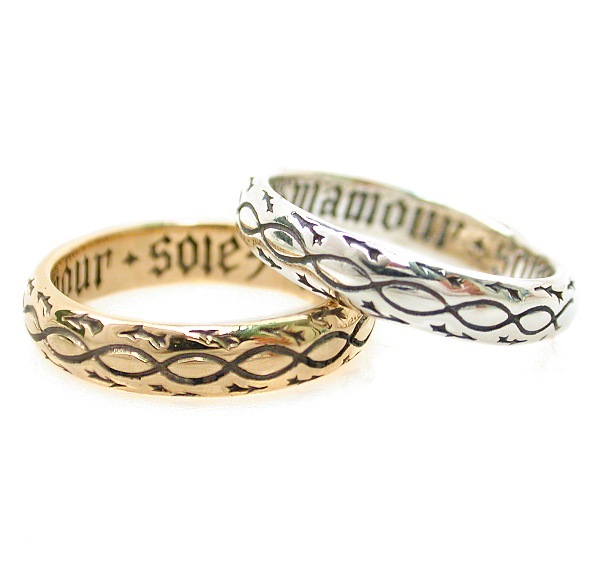 As items are sold, they are tested and certified as a guarantee of the fineness of the gold. 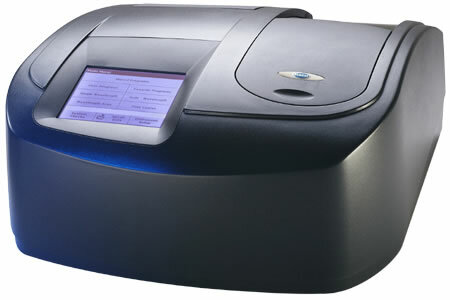 A spectrophotometer for testing precious metals. Detecting fineness is more difficult in platinum than in other precious metals. It is usually left to highly skilled professionals who have access to special equipment. Atomic absorption spectrophotometers analyze the chemical composition of materials. The test is destructive because it requires a small sample of platinum from your jewelry. The platinum is dissolved in solution and then vaporized in the spectrophotometer. The reading from your sample will be compared with that of other samples containing known concentrations of platinum. 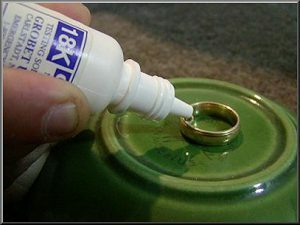 This technique can also be used on gold and silver if necessary. Now that we have completed the breakdown of precious metals testing, a brief overview of the Precious Metals Glossary | Definitions of Precious Metals Terminology would be helpful to cover any remaining questions about terminology.